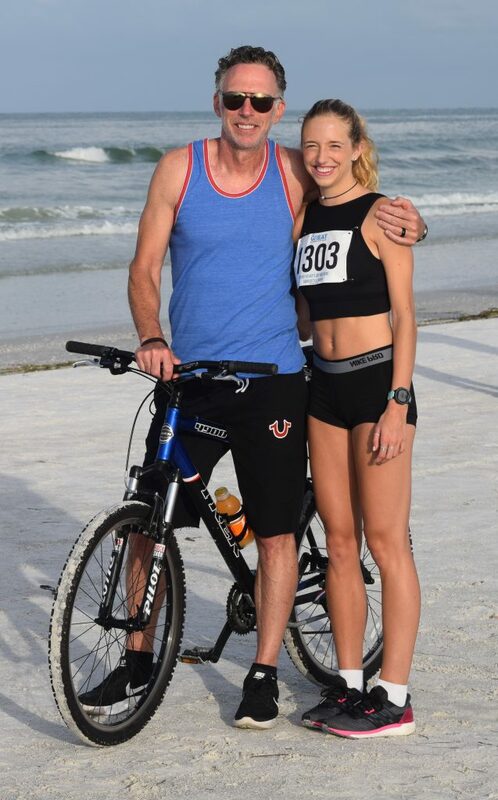 More than 350 runners of all ages were registered to run along the beautiful Gulf of Mexico shoreline on Siesta Key in this year’s Great Father’s Day Race. The race was a 5K run/walk the whole family did together to create unique and lasting family memories. Included in the morning fun were free race pictures, dry-fit shirt, race medal, custom bib with timing, goodie bag, awards and prizes, food and drinks, and much more! The event is family-friendly and focuses on health, wellness, and competition. Race Director Claire Selius said, “We want families and friends to get off the couch, get moving, and create exciting memories of fun and adventure. Troy and Kat Nelson with Jenna Zinnecker (21) of Parish moved here three years ago from Cincinnati. This is their first Fathers Day Race. They are working up to a 10k race in January to get in shape and improve their health. 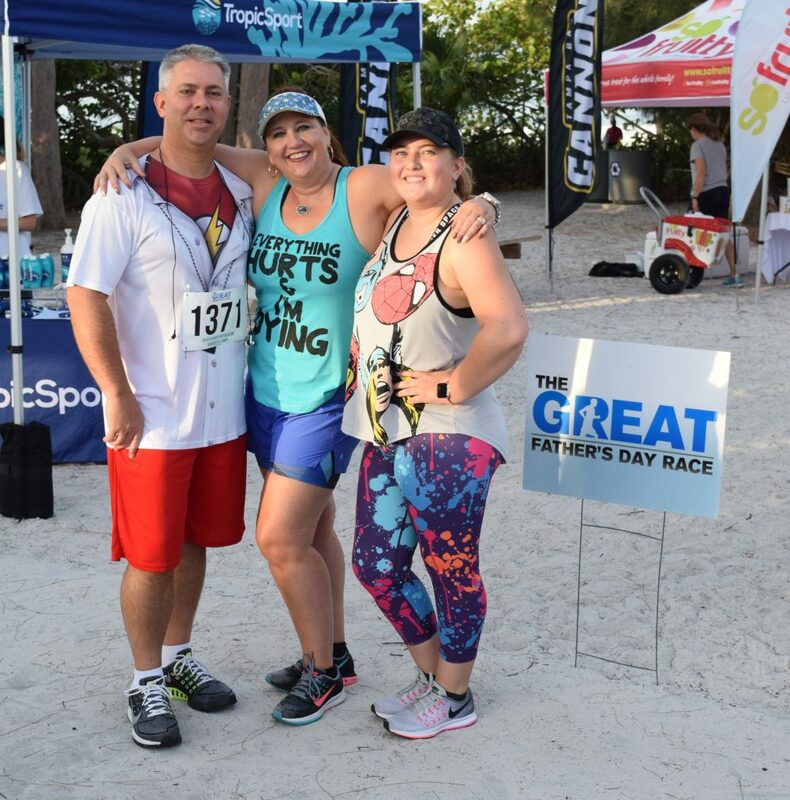 The Kerzner family of Sarasota moments before their first Great Father’s Day Race. 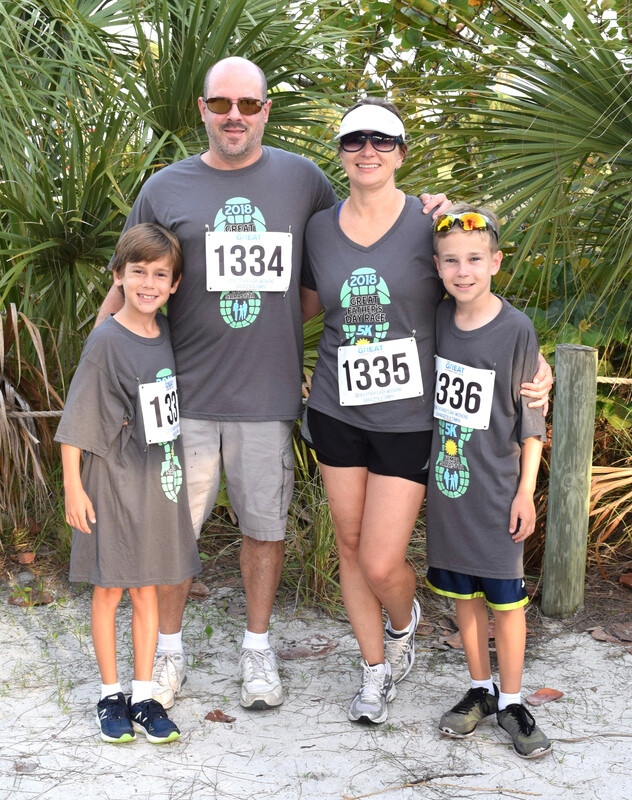 Jack (8), Scott, Kathy and Ryan (10) Kerzner moved here from New York 14 years ago and decided the race would be a fun thing to do with the family. Bob Grant and daughter Jordan (18) of Dayton, Ohio. Though Bob did not run, his daughter runs like the wind and was the first female finisher. This was the first time Jordan competed in this race. More than 350 runners of all ages leaving the starting line of the 5K Father’s Day Race on incredible Siesta Beach.